November 27, 2018 UPDATE: The Moon of Baroda sold at Christie’s in Hong Kong for 10,300,000 HKD which is about equivalent to $1,316,672. 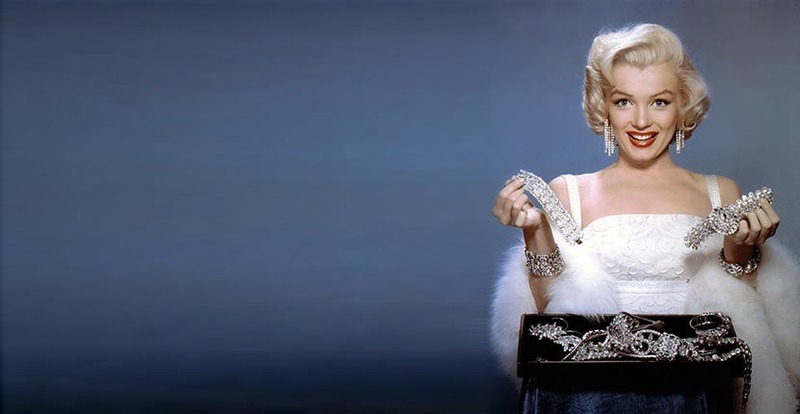 Marilyn Monroe did not wear real gems when she belted out “Diamonds Are a Girl’s Friend” in the 1953 film Gentlemen Prefer Blondes. 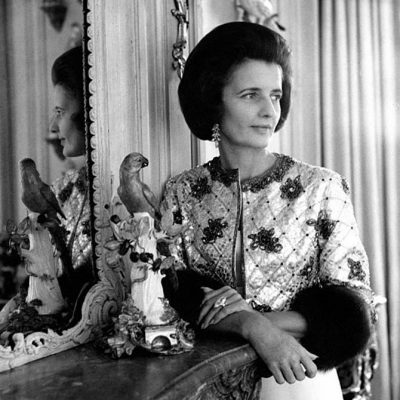 She wore gigantic costume jewels with her pink silk gown. It didn’t matter one bit that the gems were fake. The impact of Monroe’s dynamic rendition of the song instantly and indelibly linked her to real diamonds forever. Who owned the Moon of Baroda is the circuitous part of the tale. It could have been found at the Golconda mines anywhere from the 15th to the 17th centuries. The first famous owners were believed to have been by the princes of the Gaekwads dynasty of India which is not a stretch because they ruled the diamond region of Baroda. It was believed the family gifted it to Marie Antoinette’s mother, Maria Theresa of Austria. When she died in 1780 it was thought to be returned to Gaekwads. Around 1860 it was allegedly set in a necklace and sold. By 1926, the piece apparently landed in the collection of Prince Ramachandra who is credited with bringing it to the United States where he left it with new owners. 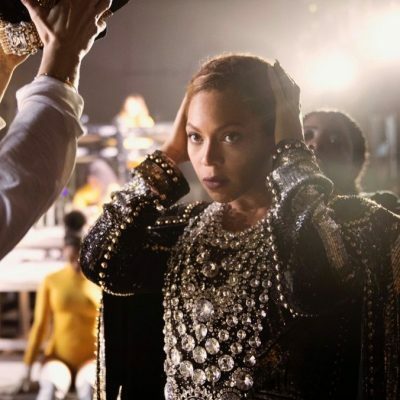 In 1953, it was confirmed to be the property of Samuel H. Deutsch, the president of a firm of diamond cutters based in Cleveland, who sold it to Meyer Rosenbaum, president of Meyer Jewelry Company in Detroit, Michigan. After Monroe posed with the Moon of Baroda and made it famous, the gem seems to have gone into a private collection. It returned to the public view at Christie’s in New York in 1990 when it was sold for $297,000. The gem was put on display among the treasures in the 2008 exhibit Diamond Divas in Antwerp. Now after two decades in a private collection, it is once again being sold at Christie’s. 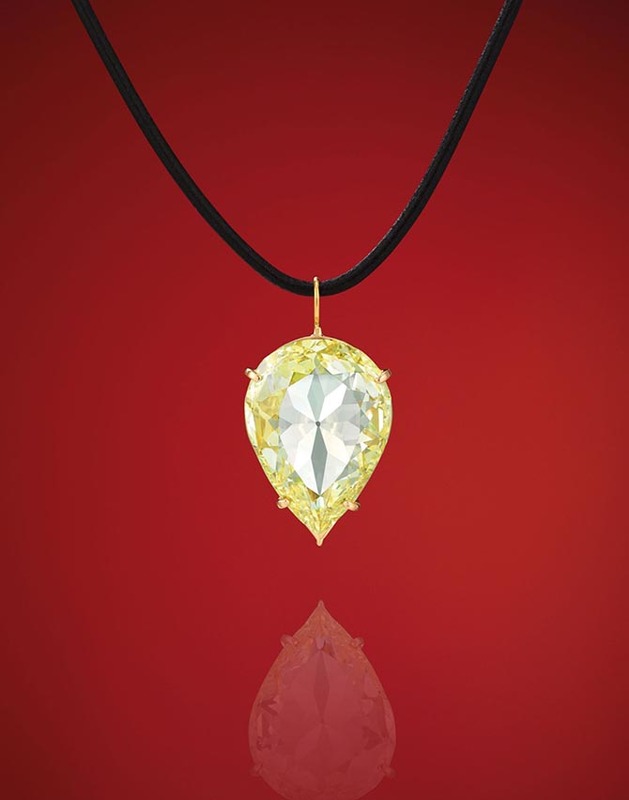 The gem is a highlight of the Magnificent Jewels auction because of the unique qualities of the Golconda stone including the pear shape and yellow color. 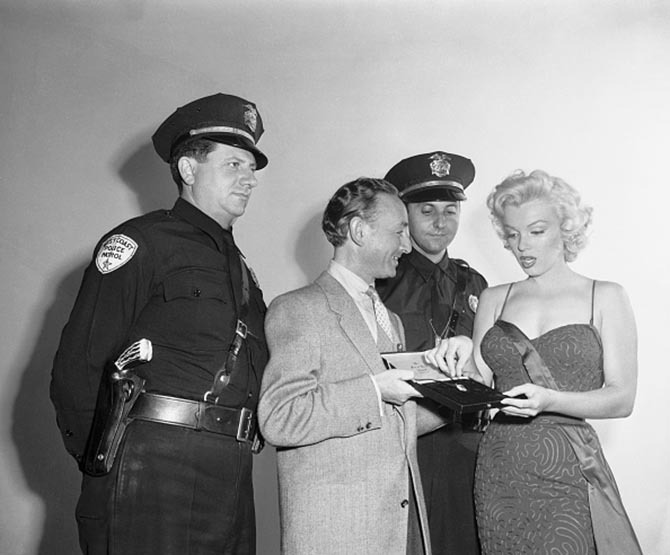 Marilyn Monroe’s moment with the gem has also surely added immeasurably to the value.